The People’s Democratic Party (PDP) Presidential Candidate, Atiku Abubakar, paid a courtesy visit to the Palace of Emir of Daura Emirate, Alhaji Faruk Umar Faruk, during PDP campaign in Katsina State. It is no longer a news that Daura is the hometown of President Muhammadu Buhari and Presidential Candidate of All Progressives Congress (APC). 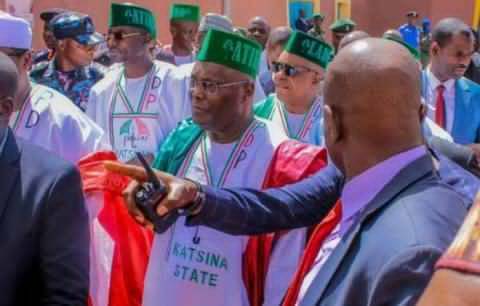 Atiku Abubakar found it necessary to visit Daura, an ancient Emirate in Katsina, to commiserate with the Emir over various attack launched by armed bandits on residents of the town, and as well seek for the monarch's support in the coming presidential election. Atiku said when emerged as the president of Nigeria, his administration will encourage quality education so as to annihilate Almajiri crisis in the state, while besieging the people of the state to troop out during the presidential election and vote for all PDP candidates.